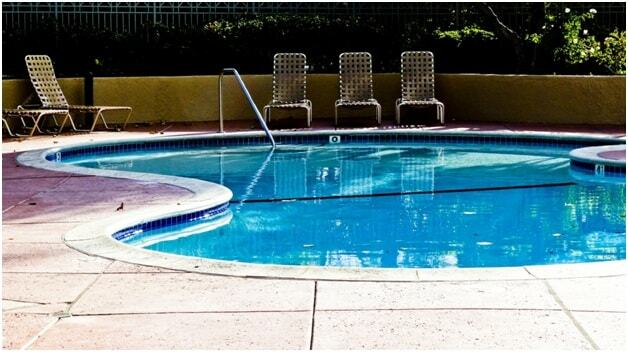 If you are lucky enough to have a swimming pool, it is essential to maintain it and keep it clean in every season. It is best to host the parties besides a pool in your backyard, but we often forget the essential element of owning a pool – Maintenance. The key to having a well-maintained pool is to stay on the top of it. Maintaining a pool is not difficult, but you need to be aware of the things and take the required steps at the right time. This post explains the top 6 maintenance tips to keep your pool clean and refreshing in every season. 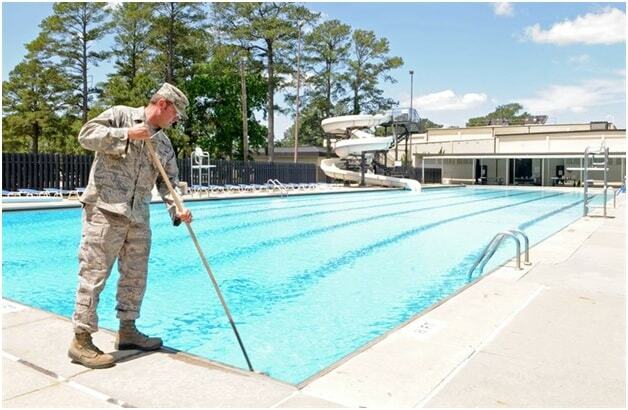 Skimming the leaves and debris from the surface of pool water is essential for keeping it clean. For a sparkling clean pool, skimming needs to be done daily. 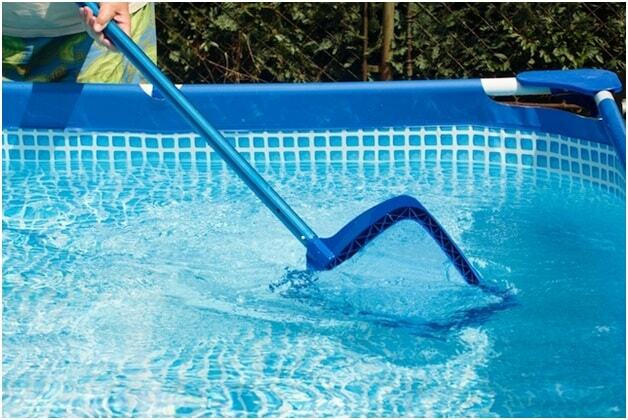 The skimmer basket does the skimming of the pool to prevent the debris and leaves sink down to the bottom. Also, the skimmer basket should also be cleaned regularly so that it works effectively while skimming the debris off the water. In addition to skimming, you should also consider the scrubbing of walls and floor of the pool to prevent the building up of algae. A pool needs scrubbing at least once a week to keep the algae at bay and tiles clean. A pool filter work in the same way as the kidneys in our body. It removes the impurities from water such as the dirt, leaves, and small toys. You should clean your pool’s filter basket at least once a week. To clean the filter, turn it off, remove the cap, and lift out the filter basket. Then remove any debris in the basket before replacing all the things. The pipes used by your filter need to be cleaned that you can do easily by backwashing. Set your filter to “backwash,” and simply remove the leaf basket to clean it out. 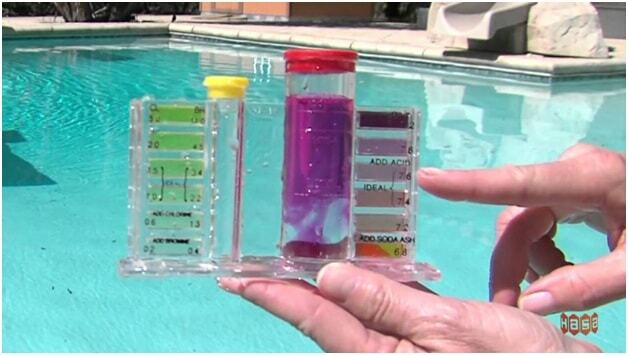 You need to check the chemical levels in the pool water every couple of days to make the required additions. The water with an improper balance of chemicals looks hazy, cause irritation of skin and eyes and can make your pool a breeding ground for germs. Here are the six essential chemicals that should be checked every week to detect any imbalance. Chlorine – A sanitizer added to the pool water to keep it safe and free of germs. Cyanuric Acid – Protects the chlorine in water from sunlight and determines the required chlorine level. An ideal reading of Cyanuric Acid for outdoor pools should be between 30 and 50. Acidity/Alkalinity – Also known as the pH level, acidity should be between 7.5 and 7.8 to prevent the irritation of skin and eyes. The correct pH level protects the pool equipment from corrosion. Total Alkalinity – The alkalinity helps keep the pH in balance. The total alkalinity level should be in the range of 80-120. Calcium Hardness – The correct amount of calcium hardness prevents the plaster damage. The calcium hardness should be between 220 and 350. However, it should be between 180 and 200 for pools with vinyl siding. Shock treatment is required whenever you throw a pool party or when the water looks murkier. The process involves raising the chlorine levels in the pool water for a short period of time to kill the bacteria. Shock treatment is carried out by diluting 3 to 5 times the normal amount of chlorine with water and putting it into the pool water. Another way to shock your pool is to run your pump regularly for 24 hours along with your ozone system. The rainwater, bird droppings and debris can cause the algae can build on the sides of your pool. Algaecide is added to pool water to prevent the formation of algae on the sides and bottom of the pool. Whenever you see signs of algae building up in your pool, clean it up with a scrubber brush and add algaecide to your pool. The equipment in your pool needs to be examined and maintained regularly. You can check it yourself, but a professional evaluation is always better. Schedule an appointment with a pool care professional and get your pool equipment evaluated for any signs of damage. Also, report any leaks or odd sounds coming from the pool pumps equipment the serviceperson to get the problems fixed at the right time. Pool cleaning and maintenance is not an easy task. However, it is not too difficult either. The most important point is the regular cleaning and checking the chemicals and equipment regularly. Any deviations in the chemicals and water levels need to be addressed at the right time to keep your pool clean and refreshing at all times.